Despite the immense health benefits that it offers to both the mother and child, breast milk has always been considered a subject of taboo in the Indian society. Unaware of its importance and pressured by family and friends, many exhausted new mothers turn to alternate sources of supplements to nourish their ever-hungry newborns. However, now, they can get pasteurized human milk for their tiny tots, thanks to Breast Milk Foundation (BMF), a non-profit organization that strives to improve the health of preemies and little infants by providing them with donated human milk. Over the years, Dr. Ankit entered the field of dental care by setting up ‘Dantah’ as a unit of ANR Healthcare; BMF and now Amaara’. “Amaara became a reality when my wife Neha and I in conversation with Dr Raghuram Malliah stumbled upon the long neglected issue of neo-natal infants and the appalling lack of proper nutrition available for them leading to the unfortunate and rising mortality rate nationwide. 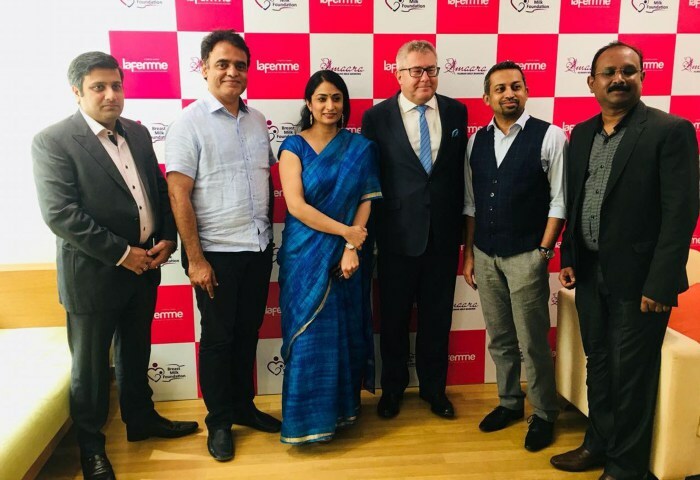 Several such exchanges led us to the inception where Breast Milk Foundation was set up in collaboration with Fortis La Femme, and eventually, its first peerless project Amaara was born,” he says. For mothers who wish to donate milk, the process begins by contacting Amaara, where a set of professionals will guide them through the procedure. Once collected, the milk is safely transferred to glass flasks; followed by mixing and pooling to ensure even distribution of human milk components. After this, it is poured into bottles of 130ml or 250ml and analysed for the nutrient content and other essential vitamins and minerals. The samples are immediately taken after the pasteurization process and sent for culture test to check for any bacterial growth, while any contaminated human milk is rejected. The Pasteurized Donor Human milk (PDHM) is then labelled and stored in the freezer and shipped frozen overnight to hospitals. “All lactating mothers who have excess milk after feeding their own baby can contribute by donating their precious milk for the cause while others can create awareness about the initiative,” explains Dr Ankit. More awareness programmes on the subject are also the need of the hour, he feels.